Don't text while you're driving. Especially don't text while driving if your license has been suspended. And especially don't slam into a police car if you're texting while driving and your license has been suspended. 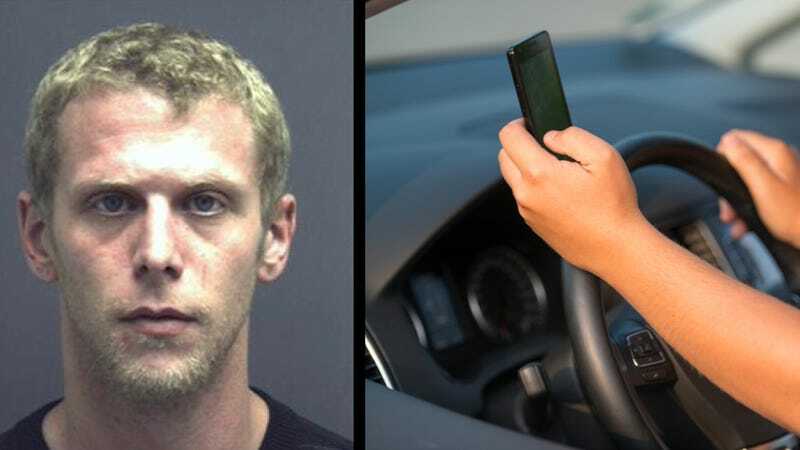 Police in Virginia say this act netted 25-year-old Alexander Bacon a litany of charges, including texting while driving, reckless driving, driving on a suspended operator's license, and failing to yield to an emergency vehicle. WUSA9 News reports that Bacon's Ford swerved off a Manassas road and slammed into a stopped police car, as well as a car whose driver the officer was speaking to. The officer was injured, but not seriously, they report. I hope the text message was worth it.